Kids will be happier and healthier when they are the boss of their bodies and can take care of most of their stress on their own. 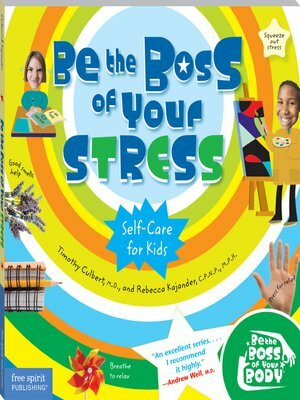 The self-care skills in this book do not replace health care professionals, but they do help kids learn what they can do to take care of themselves. They will learn to deal with being stressed out, whether related to school, friends, or stuff happening at home. As they learn to be less stressed, they will feel better and more in charge of their health.